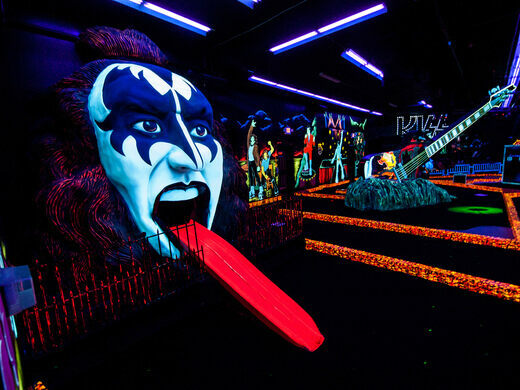 You might think the Venn diagram of mini-golf enthusiasts and diehard KISS fans has a pretty small center, but this KISS-themed miniature golf course is here to prove you wrong. 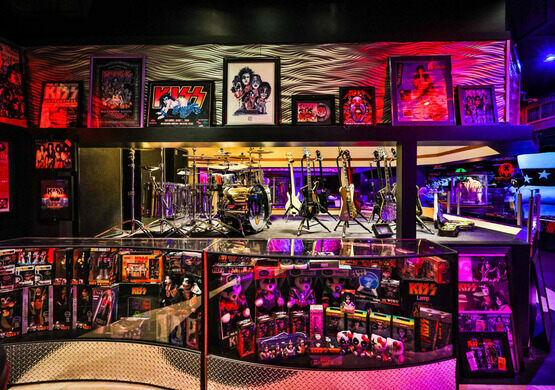 With 13,000 square feet of KISS memorabilia, a giant Gene Simmons head, and blacklight guitars galore, it’s not for the faint of heart. 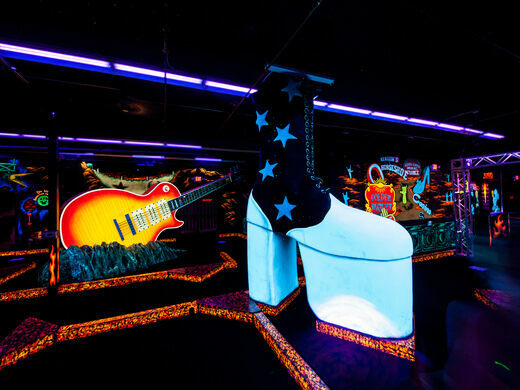 Playing the course is like falling into a dream world illuminated with unique glow-in-the-dark features and high-tech videos. 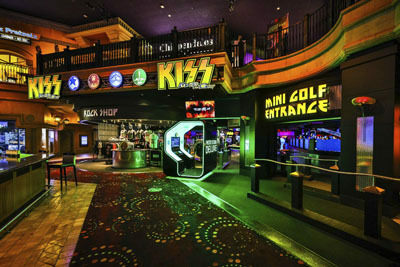 There’s also often a live DJ blasting nonstop KISS music and hosting various trivia and other contests. 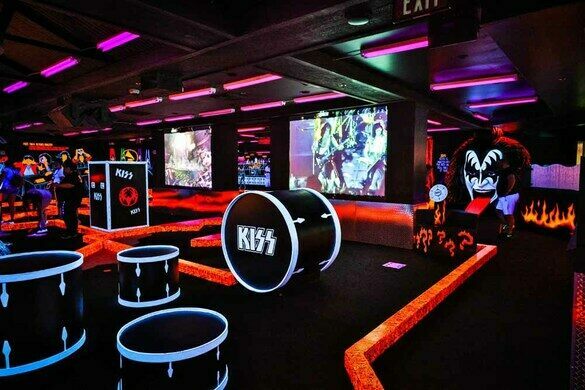 Keep an eye out for the authentic KISS props that speckle the space as well. 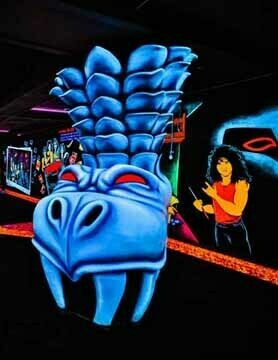 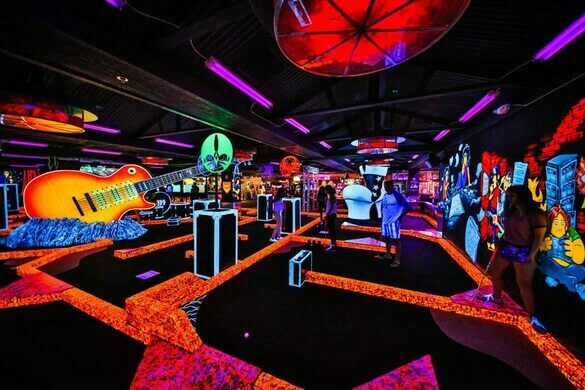 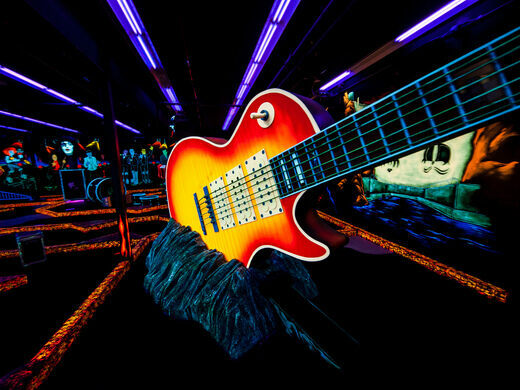 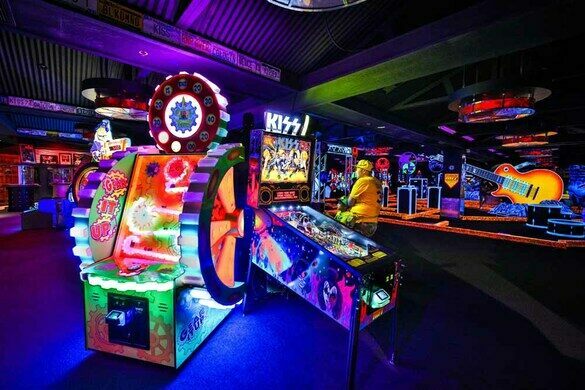 The course was created by Christina Vitagliano, founder of Monster Mini Golf, whose husband was a KISS fan. 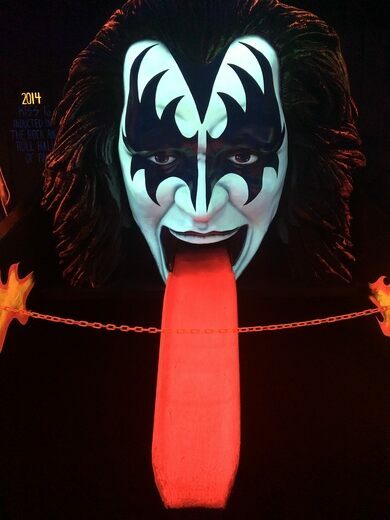 She started asking everyone she knew if they had a connection to Gene Simmons, and eventually found someone with the number for his attorney. She reached out and heard back within a day. 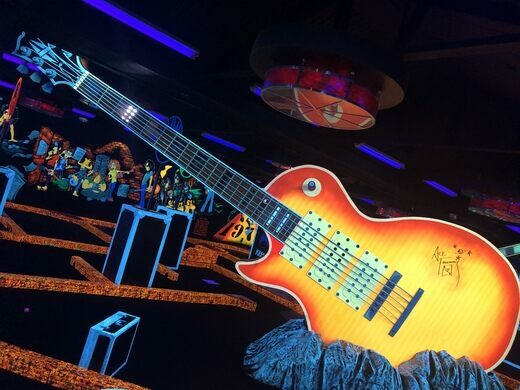 The unusual mini-golf course used to live in a building just off the Las Vegas Strip, but in 2016 it relocated to the space formerly occupied by the Rio’s Village Seafood Buffet. 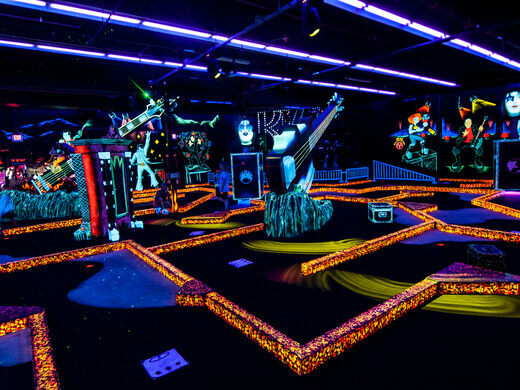 The golf course is open daily from 10 a.m. to midnight. 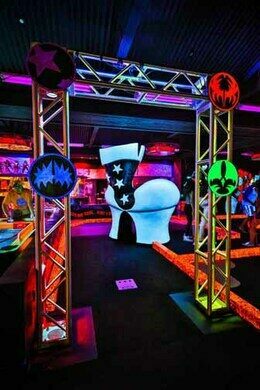 Wear something white or neon so you'll glow in the dark!